The newly upgraded Sennebogen Maxcab is longer, providing the operator with both more personal space and additional room for creature comforts and storage. Sennebogen's signature Maxcab is now bigger and better. Standard on Sennebogen machines, the updated version of the Maxcab is about 3 in. (70 cm) longer than the previous generation. The resulting cab expansion not only provides more space for the operator to work comfortably, it also offers additional room for an optional electric cooler behind the seat, as well as additional storage space for other necessities. 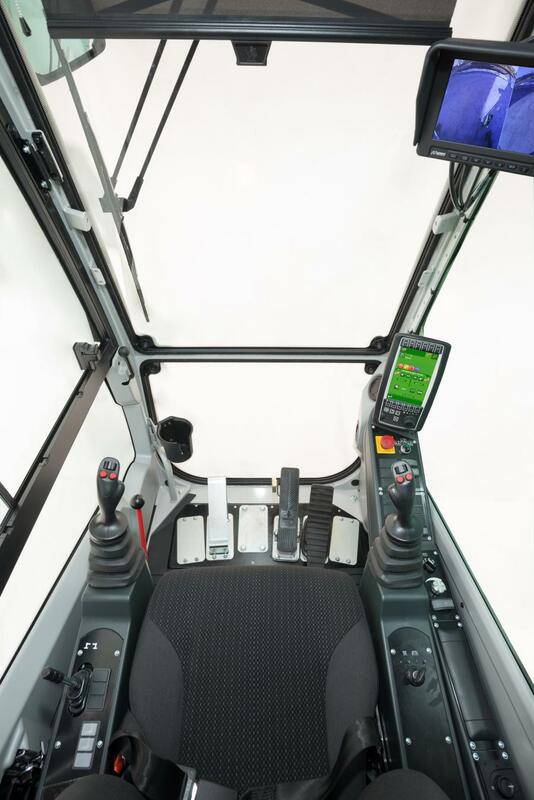 When Sennebogen introduced the first generation of Maxcab in 2006, it established a new benchmark in comfort, ergonomics and safety for the operators of material handlers and other lifting equipment. The sliding door continues to provide convenient, safe access to the new Maxcab, but with an increased opening width for even easier access. From the start, end-users and designers were involved in the development of the new Maxcab. The result is a smart design meeting all required specifications, according to the manufacturer. Throughout the new Maxcab's design and development process, Sennebogen prioritized higher-quality solutions, including the most easy-to-understand, simple and intuitive operating elements. The new and improved air conditioning system in today's Maxcab features nine outlets for optimized air flow. Even with the fan on high, the air is blown at a pleasantly low speed via outlets that are strategically distributed around the cab. Helping to ensure a pleasant working environment, the Maxcab features a tiltable front windshield and a side window panel in the door that can be opened by the operator. The windshield on the new Maxcab has been pulled right down to the floor optimizing the operator's view of the primary work area at the front of the machine. Together with large side window panels, the operator has an unobstructed panoramic view over the entire job site. Charging outlets have been located behind the driver's seat and additional storage spaces in the interior keeps the area tidy but all items are within easy reach of the operator. Additionally, the new cab's floormat is flush with the access opening, making the cab's floor safe to access and easy to clean. A permanent catwalk with a railing allows for safe access to the cab. 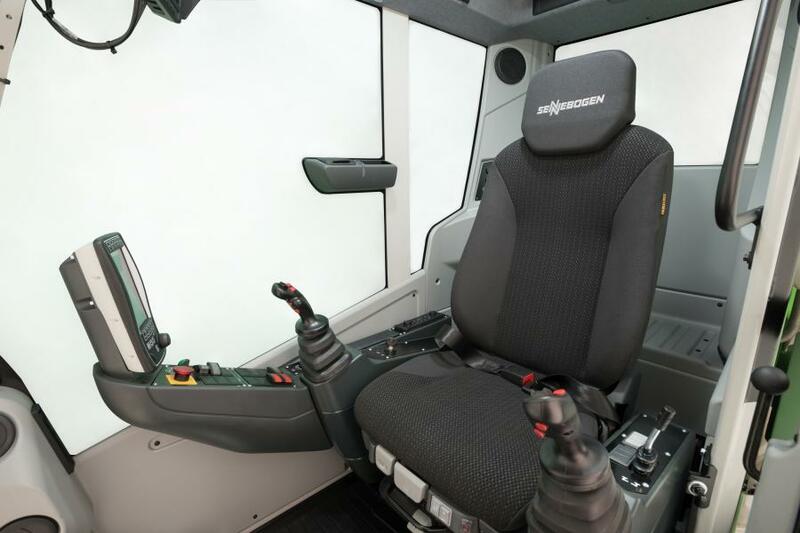 Creating ideal conditions for fatigue-free work, the consoles and the ergonomic hydraulic-over-hydraulic joysticks move with the standard climate-controlled seat. The work station can be individually adjusted to best suit the size and weight of every operator. Sennebogen machines continue to employ efficient, cost-effective operating technologies. Individual operating switches instead of electronics makes it easy and cost effective to troubleshoot and repair. For more information, visit www.sennebogen-na.com.